Rapid Foundation Repair offers reliable, highly efficient and high capacity sump pump systems for your home. These systems include high-performance pumps, battery backups, efficient basin designs, check valves and built-in alarms for basement drainage needs. These sealed sump pump systems are highly reliable and keep running at optimal performance levels to help with wet basements. Combining the pump system with a sealed interior waterproofing or drainage system will increase the value of your home as well as create the option of a new, healthy living space. 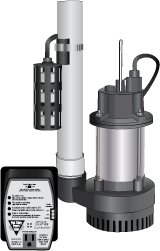 Gallons per watt-hour is a performance criterion that some sump pump manufacturers are starting to use. The highest performance pumps will pump over six gallons per watt-hour, meaning they not only are outperforming your old sump pump, but they will use less electricity to do so. Here at Rapid Foundation Repair, we use only the best tools and equipment from Earth Contact Products. We guarantee their durability and outstanding performance. Since the switch mechanism on a sump pump is the primary reason for sump pump failure, it is important to be sure of an investment in a high-quality switch. The best sump pump switches are the ones that have backup or dual switches. They provide protection in the case of switch failure. When protecting your home, this feature is well worth the investment. Without a reliable sump pump, the likelihood of mold or mildew growth is increased. In order to protect your home and family, look to the professionals at Rapid Foundation Repair to install the best sump pump system for your South Dakota and Wyoming home. 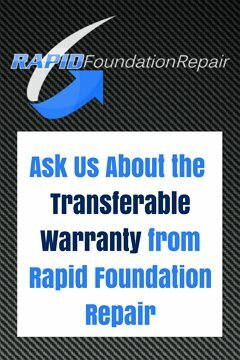 Don’t hesitate, contact Rapid Foundation Repair today!